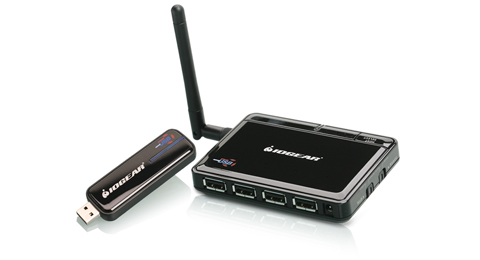 Introducing the one of the first USB-IF Certified Wireless USB solution, the IOGEAR Wireless USB Hub & Adapter kit (GUWH104Kit). The IOGEAR Wireless USB Hub & Adapter kit allows your desktop or laptop to wirelessly communicate with USB printers, scanners, game controllers, flash drives, external hard drives, and other USB devices. It complies with the Multi-band OFDM Ultra Wide Band (UWB) 1.0 specification, and provides users with transmission speeds of up to 480Mbps*. It is the perfect combination of convenient USB connectivity, blazing fast data transfers and the benefits of going wireless. 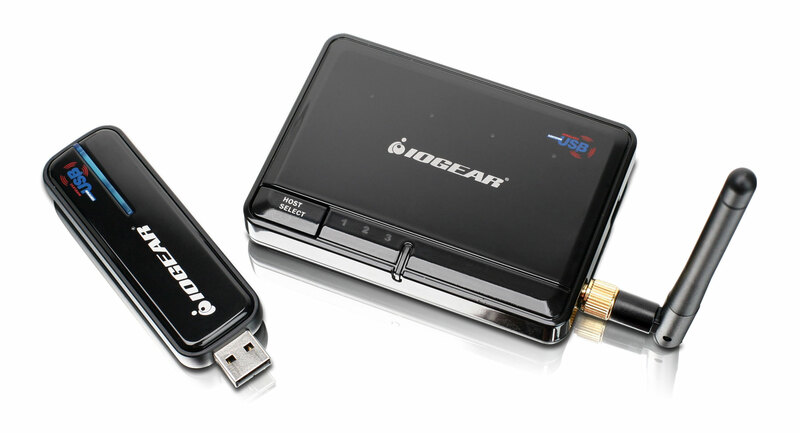 The IOGEAR Wireless USB Kit takes advantage of the UWB radio technology to deliver fast wireless USB communication between your computer and USB peripherals. 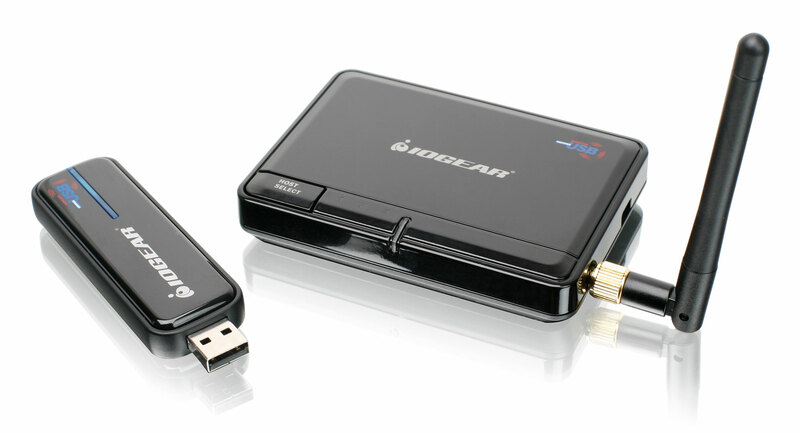 The IOGEAR Kit wirelessly connects to USB devices up to 30-feet away from your computer. Imagine transferring files to a hard drive across the room! 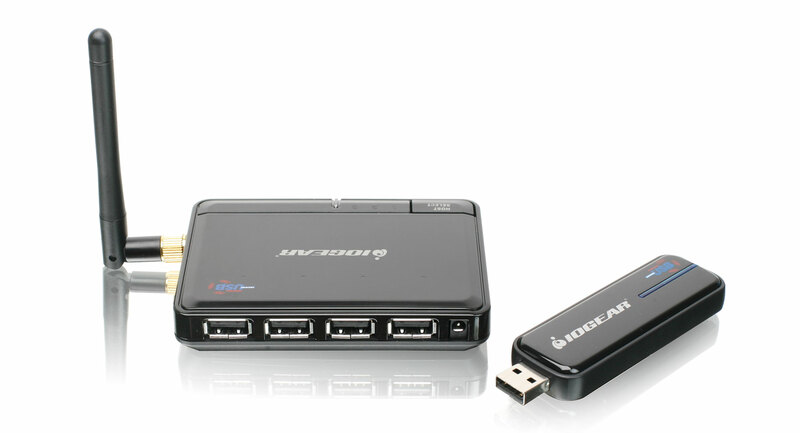 The Wireless USB hub can connect to many other USB devices and offers high-bandwidth video, audio and data transfers. Additionally, the wireless frequency range of UWB helps avoid interference with other wireless devices like mobile phones, Wi-Fi networks, and Bluetooth devices. And because the IOGEAR Wireless USB hub is certified by the USB-IF you know that it will work with any other Certified Wireless USB devices that come to market. 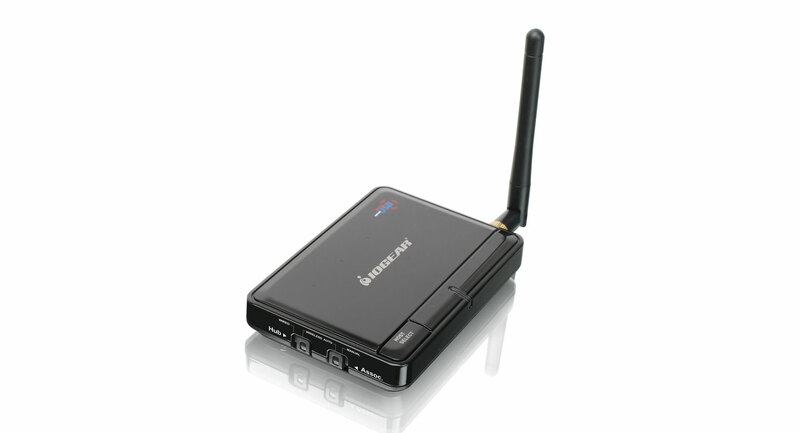 *Each PC must be enabled with the Wireless USB Adapter or have Wireless USB built-in. Access is limited to one PC at a time. Maximum performance for wireless USB derived from Wireless USB specification. 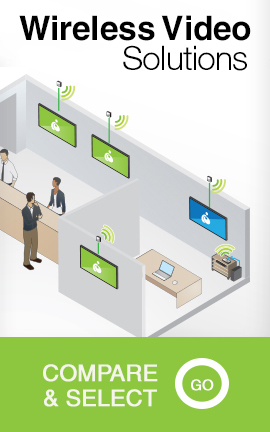 Actual performance may vary, including lower wireless network capacity, data throughput rate, range and coverage. Performance depends on many factors, conditions and variables, including wireless distance, volume of network traffic, network overhead, building materials and construction, operating system being used, interference and other adverse conditions. A clear line of sight between Wireless USB Hub and Host adapter within 30 feet is recommended for optimal performance. * For best performance and maximum enjoyment, please regularly download the latest driver, user maunal and firmware.